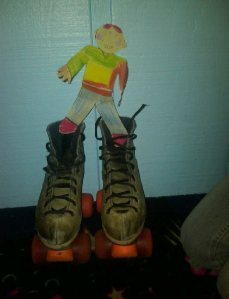 Stark Vegas Fun for Flat Stanley - JP loves LIFE! 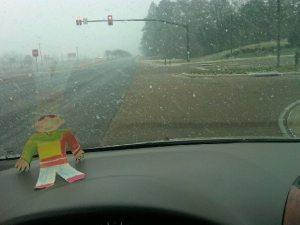 Here is a picture of Flat Stanley driving onto campus with us as the first flakes started to fall. 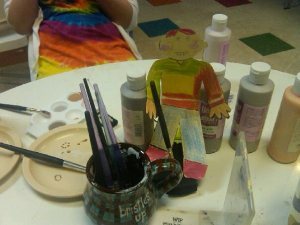 Anyway, we had such a blast with Flat Stanley, thanks for letting him visit. Starkville has a ton of neat things to do, including a lot of sporting events since it’s a college town, but unfortunately when it snows in a town not used to snow, well, let’s just say the town shuts down. No worries, though, we found some fun things to do! And we played hard! We went to a Japanese restaurant and ate steak off a hibachi grill, played for hours in the snow, went roller skating, did someswinging in the front yard, and painted pottery at Dandy Doodlez. We hope you are learning a ton of interesting things in Ms. Rorie’s class! 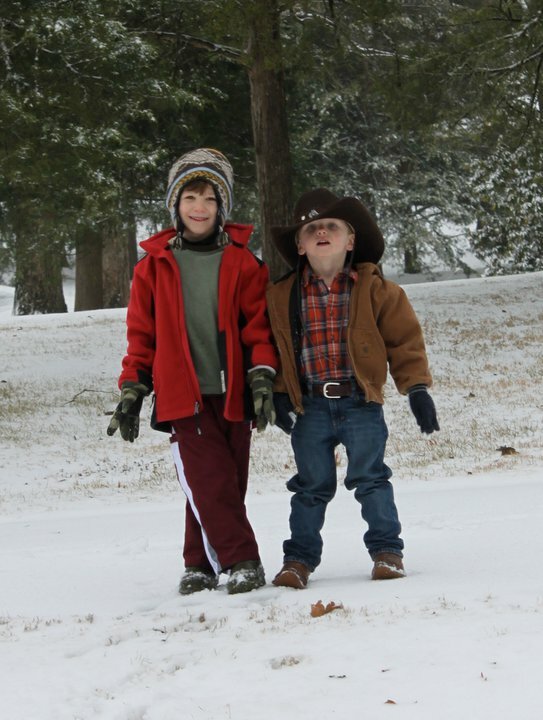 Take care and stay warm! Please let Flat Stanley come visit us again soon. We already miss him!